The 1st Chamber of Military Court of Cassation declared unconstitutional the rule envisaged in the Military Penal Code, which reads: "With regard to those military staff, who gets into an unnatural intimacy with someone or enable such an act with their own consent, shall further be imposed --although their actions constitute another offence-- the penalty of dismissal from TAF; as for the enlist sergeants, the penalty shall be stripping off of their ranks." [The Court] filed an application with the CC for the cancellation of the rule foreseeing the discharge of homosexual soldiers from the TAF. 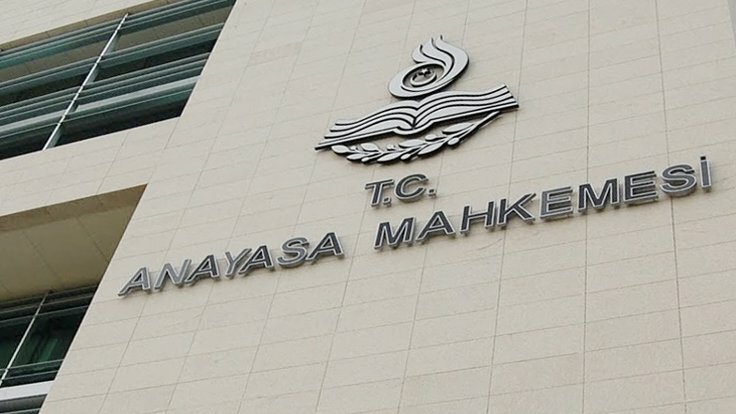 The reasoned decision of the CC, rendered in connection with the application, has been promulgated in the Official Gazette. Pursuant to its ruling in November 2017, the CC had overturned the request for the cancellation of the provision. Placing his dissent on the CC’s ruling taken by majority vote, CC acting president Engin Yıldırım recalled the international conventions to which Turkey is a party, the ECtHR rulings, the Turkey-reports of UN HR Committee as well as those by Kaos GL. Yıldırım also noted in his 23-pge-dissenting opinion, that the rule was in breach of constitutional articles 10, 13 and 20, “equality before law”, “restriction of fundamental rights and liberties” and “privacy of life” respectively. "Sexual actions, attitudes and behaviours, take place in a personal sphere where privacy is essential and where the state should not intervene as a rule, or can merely intervene under exceptional circumstances on legitimate grounds at minimum level". “If it is claimed that gays serving in the armed forces pose a risk against the discipline and operational efficiency and effectiveness of the arms then the grounds for this argument should be put forth with tangible evidence." “Are these people less worthy or less dignified due to their sexual orientations? LGBTİ+ people are subjected to discriminatory treatment as note din the rule, not for what they do but for what they are or how they are perceived, so to speak, they are not considered as "acceptable" citizens." “According to paragraph 2 Article 153 of the Military Penal Code entitled 'those marrying or living together with an unchaste person' "With regard to those military staff, who gets into an unnatural intimacy with someone or enable such an act with their own consent, shall further be imposed --although their actions constitute another offence-- the penalty of dismissal from TAF; as for the enlist sergeants, the penalty shall be stripping off of their ranks." Unnatural relationship refers to an unnatural sexual relationship. As is clear from the wording of the article and as can be seen in implementation, this concept refers to homosexual relationships. Criminalising homosexual relationship is in violation of human rights standards and a violation of non-discrimination rule." "The decision breaches, once again, the inviolability of privacy"
"As has already been explained thoroughly in the dissenting vote annotation; a person's private life has nothing to do with his military profession. The link between a soldier's private life and his profession is no more than the link between other public officials' private lives and their professions. This decision breaches, once again, the inviolability of privacy. The CC has prepared a rejection reasoning claiming that 'military personnel are not in the same position with other public personnel, hence, a differentiated practice for military individuals would not undermine the principle of equality'. In this case, the element that alters equal implementation is "military profession". The assertion that military personnel should not be subject to equal treatment as they are not in the same position with other public personnel, implicitly, suggests that the profession, which is linked to "manhood" and obedience, cannot be appropriate for gays. In other words, although it is not enshrined in the law, the decision makes implicit reference to the patriarchal and homophobic mind-set that considers homosexuality as "immoral" or as a "threat to manhood". "Given the lack of any legislation on the existence of LGBTI and the legal loophole in this field, there is no legislation they can cite as reference. Where there is a legal gap, the judges can fill it according to customs, practices and traditions. As such, the CC has filled this legal loophole by, implicitly, taking as a basis the mind-set which considers "homosexuality as immorality". [Yet] It is not correct to make a distinction between military staff and other public personnel because of the work they perform. This decision creates an artificial reasoning based on patriarchal and homophobic social values that are not protected by law. As they couldn't come up with any other legal justification not to admit LGBTI into the army, they were compelled to find an artificial justification claiming that "it would not undermine equality as it is not the same'.